Minto, MB grain elevators, July 2005. Contributed by Pat Scrimgeour. 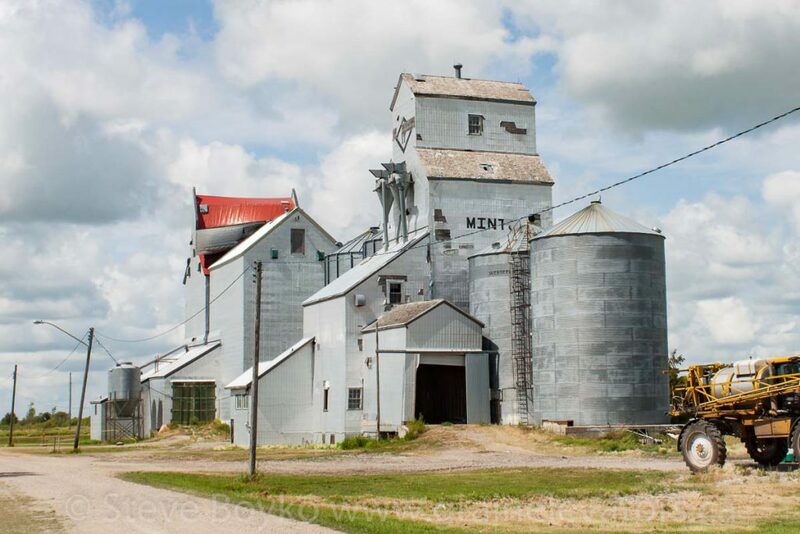 Until recently there were two Minto grain elevators. 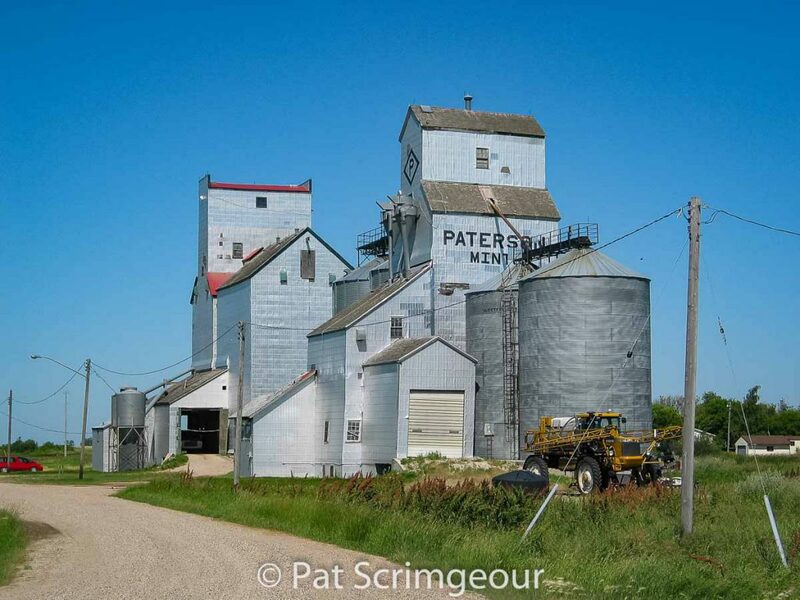 The town featured a Paterson grain elevator and an ex Manitoba Pool grain elevator. 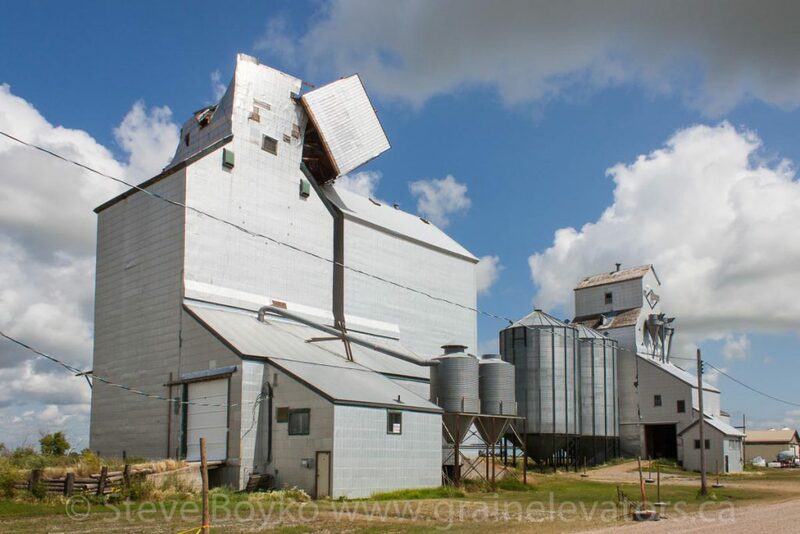 However, high winds in July 2014 severely damaged one of the elevators. Damaged grain elevator in Minto, MB, August 2014. Contributed by Steve Boyko. The other elevator remained in operation for a while but on February 15, 2015 the ex Manitoba Pool elevator was demolished, followed quickly by the other elevator and the annexes (Matt Tolton photo). 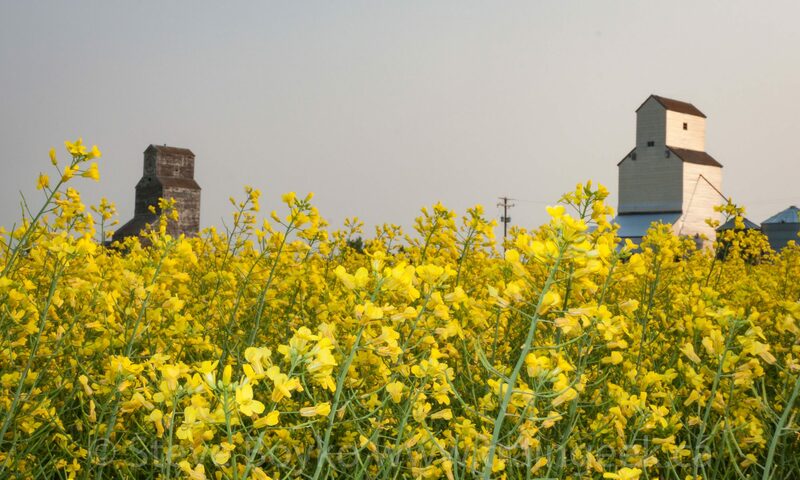 Grain elevators in Minto, MB, Aug 2014. Contributed by Steve Boyko. 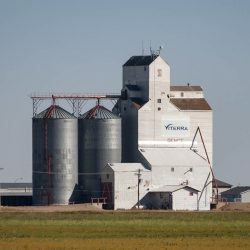 The damaged elevator had a capacity of 4,840 tonnes. Minto was served by the CN Hartney subdivision until its abandonment around 2007. The town of Minto was originally also served by the Great Northern Railway from 1906 to 1937. 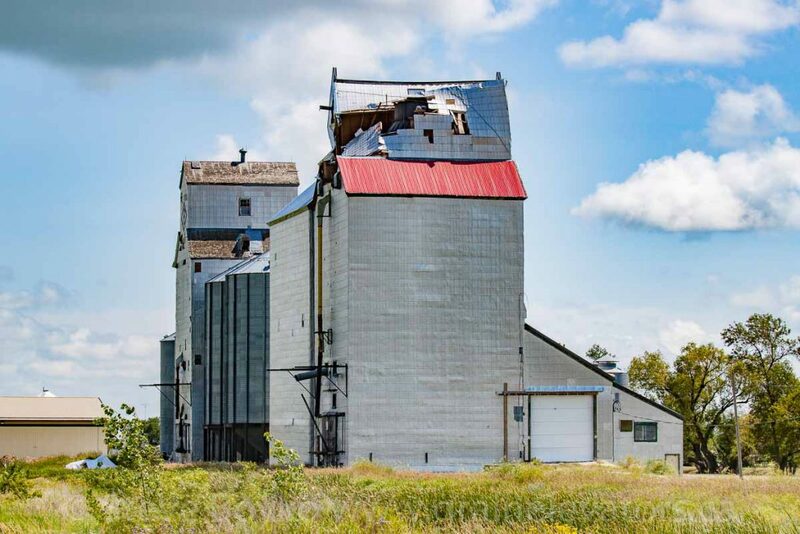 Minto, MB elevators, May 2014. Contributed by Steve Boyko.